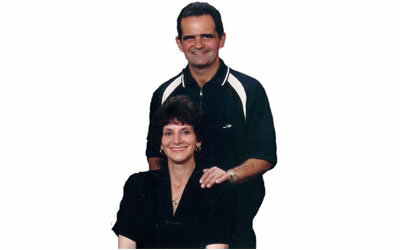 Ralph and Cindy arrived in the Philippines in 1975 and began their present ministry, centered in Lucena City on the Island of Luzon, in 1978. From Lucena City, the capital of Quezon, located about 81 miles (130 km) south of Manila, doors have opened throughout all of the CALABARZON (an acrostic for five industrial provinces of southern Luzon). Their ministry includes Bible classes and services, church school, a day-school, and centers for Bible training, youth, and the deaf. To teach sound doctrine to believers. To train and equip pastors and leaders. To launch local churches and supporting ministries with the objective of helping them to become self-sustaining. On land acquired a year earlier, they built Lucena Bible Church and International Learning Center in 1979. Renovation and expansion begun in 2002 and still underway, added four class rooms shared by the children’s day school and church school on the rear of the building, and centers for the deaf and youth ministries on either side. Day school enrolment has grown dramatically in just five years. This year, long-time friend and associate, Jonathan Tusalem, began a college for some of those who attend Bible class at the Deaf Ministry Center several times weekly. Ralph and Cindy would like to continue to serve as missionaries in the Philippines to reach unbelievers with the gospel and believers with sound doctrine.